Dentsu Aegis Network Malaysia has appointed IPG Mediabrands’ former general manager Yasmin Mokhtar (pictured), as managing partner of creative boutique and brand consultancy Merdeka LHS. Mokhtar has worked for McCann Worldgroup Malaysia, Saatchi & Saatchi, FCB and Batey Ads, consistently in client servicing and brand management roles. She has 23 years of experience in marketing and advertising, having led major client accounts across a wide range of industries such as Malaysia Airlines, Maybank, Sime Darby Property, L’Oreal Malaysia, OCBC Bank, Danone, Procter & Gamble, and Telekom Malaysia, among others. Mokhtar described Merdeka LHS as a unique place which maintains its independent pioneering spirit, while having access to Dentsu Aegis Network’s diverse capabilities and resources. As such, this collaboration allows Merdeka LHS to offer a hybrid of advertising services to clients who are always looking for effective and impactful ideas. “For that, I’m glad to have a young, agile and multi-talented team to work with. Personally, nothing motivates me more than a good challenge, and where I am now really inspires me to think creatively in terms of managing the business as well as producing creative work. Exciting times ahead!” she added. DAN has also bolstered its creative and strategy teams at Dentsu LHS with the appointment of Eugene Low as creative director and Kevin Teh as deputy creative director. Prior to his new role, Low was the art director at independent creative agency MAYHEM (formerly known as Bombshelter Studios) and helmed a similar role for two years at McCann Worldgroup Malaysia before that. 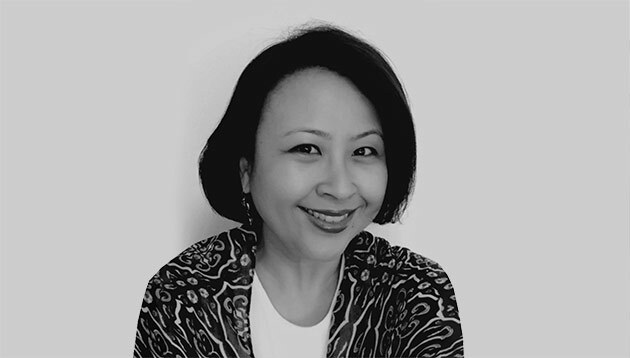 Meanwhile, Teh has been with Dentsu LHS since 2016 and has worked at McCann Worldgroup, Ogilvy and Saatchi & Saatchi. He has taken on roles such as senior copywriter and creative group head. The network has also promoted Milan Agnihotri to chief strategy officer for Dentsu LHS, where he leads strategy planning for key accounts and new business development. Agnihotri is also responsible for championing understanding on human behaviour, insights mining and communications planning training. Armed with 25 years of international experience, Agnihotri has worked in key Asian markets including Singapore, Malaysia and China, for Grey Worldwide, FCB, McCann Worldgroup and Leo Burnett. During his time in those agencies, he led communications planning for brands such as Petronas, Coca-Cola, McDonald’s, Isuzu, Nestle, Maxis, L’Oreal and OCBC Bank, among others. The agency will handle strategy, creative, social media and digital execution, delivering both creative communications and insight..
Galaxy Entertainment Group has rolled out a giant poster-on-wall with audio, tailored projection and 2D pop-up effects at the Cent..